Precision shooting equipment for the accross the course shooter. * Tikka T3 Waters Rifleman Tactical Adjustable Bolt Knob. * Tikka T3 Waters Rifleman Tactical Adjustable Picatinny Rail. * Howa 1500 Weatherby Waters Rifleman Tactical Bottom Metal Floorplate and Trigger Guard. Coming Soon. 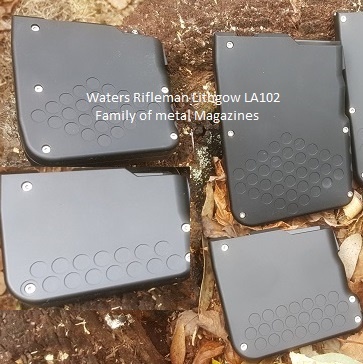 * AICS profile Waters Rifleman 223 Metal Magazine. Coming Soon. TIKKA T3 ELITE MATCH RIFLE TUBE STOCK, by Waters Rifleman - The perfect and ideal platform for any precision positional rifle match and competition shooter, who demands an excellent and adjustable stock solution to mount a factory Tikka T3 short or medium rifle action (not for any other action). This stock will not win show and shine rifle competitions, however this stock is made to satisfy the competitive shooter rifle needs to win matches! - 6 shot and 10 shot magazine, depending calibre. - Suit the standard Tikka T3 and T3X platform using a standard Tikka T3 magazine. - 223 Rem parent and similar family of cartridges (small mod to suit 204 Ruger) 2.6" OAL. - 223 Rem & 222 Rem parent and similar family of cartridges (small mod to suit 204 Ruger) 2.4" OAL. - 6BR and 22-250 parent and similar family of cartridges. - 308 Win parent and similar family of cartridges such as 243 and 260. - x55/Long Taper and similar tapered cartridges eg 6.5x55 and 7x57, etc. - 30-06 parent and similar family of cartridges (eg. 270, 280, 9.3x62). = 30-06 mags also capable of 284 Win and family, WSM family, 300 Win Mag and other Magnum cartridges such as 7mm rem Mag. - Made of light weight aluminium, with a matte black anodised finish. 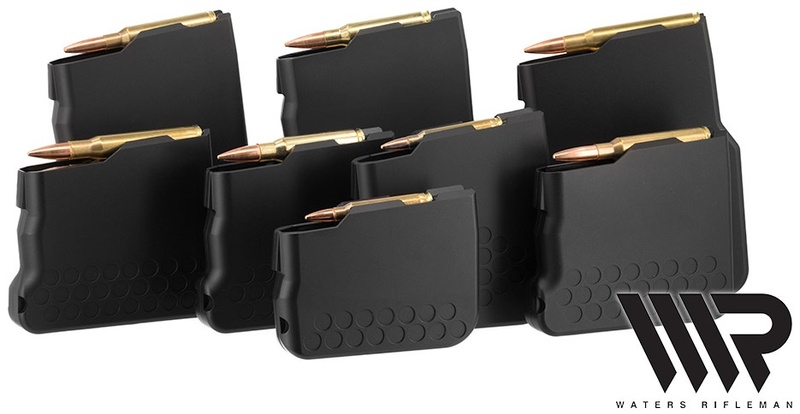 - 6 and 10 round capacity of the SAAMI spec cartridges (for the nominated cartridge to magazine). - 5 round magazine capacity capable - specify at time of contact. - Easily disassembled for easy cleaning and maintenance. - Extended round length 223 and 308 to allow loading with longer bullets, or bullets seated out further (eg. 80 grain projectiles in a .223 case). - Reliable loading and feeding. - No more plastic magazine issues - premature wearing, rounds "sticking up", "stove piping", mis-feeding, etc. - A small price to pay for a 5, 6 or 10 round quality magazine. - 5 year Warranty from defects in material or workmanship. - Suit the Lithgow LA102 Crossover rifle platform. - 223 Rem parent and similar family of cartridges. CURRENTLY OUT OF STOCK - BEING REDESIGNED. - 308 Win and 243 Win parent and similar family of cartridges. - A small price to pay for a 10 round quality magazine. COMING SOON (early 2019): Waters Rifleman Tikka T3 (truly a) TACTICAL BOLT HANDLE/KNOB Finally, a REAL tactical bolt knob. This is not just named "tactical" to make buyers feel good. Adjustable stainless steel bolt knob to suit close combat, high density surrounds, open plains and competition. Aimed to help increase cycle rate with minimal effort. Also able to increase or decrease required leverage (decrease rifle movement, or increase cycle speed). Replaces the factory handle on the factory bolt. A purely true "solution" - not a cheap work-around. Full aluminium, "hard" anodised. Increase leverage with longer and greater mechanical advantage magazine release lever. Suitable for the standard Tikka T3 only (not CRT). Will take factory standard T3 mags, or the Waters Rifleman mags. 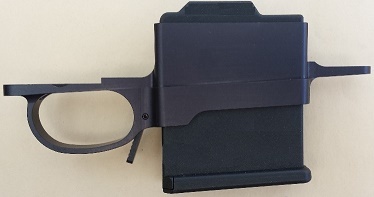 COMING SOON (Feb 2019): Waters Rifleman AICS drop in 10 round metal magazine. Similar design concept to the Tikka T3. Available for 223 only. Pac-Nor When it comes to button pulled barrels, Pac-Nor Rifle Barrels is equally the best in the world. Pac-Nor barrels are the barrel of choice by many champions world-wide. Pac-Nor barrels are not Australian made, but they are available in Australia, at the right price, for the Australian rifle shooters to get their hands on precision rifle barrels for both target shooting and hunting. Simply replacing the factory rifle barrel with a Pac-Nor is a case of purchasing a blank, then taking to a gunsmith to have a chamber cut, and the barrel threaded and fitted to the receiver. This will give the best chance to obtain full potential from their rifle. PAC-NOR manufactures the 'Super Match' barrel, with tolerances uniform from one end to the other, bore diameters within .0003 and grooves within .0001, fabricated using high quality ACCU-TWIST rifling buttons. ACCU-TWIST buttons exhibit the highest level in button technology. They are positioned and indexed using the latest in electro-optical digital measuring equipment. This ensures precise symmetry and proper sizing to less than 50 millionths of an inch. Such high levels of rifling button dimensional accuracy are necessary in order to fabricate barrels having today's fractional M.O.A. accuracy requirements. PAC-NOR also extensively utilizes "BARREL-SCAN"™, the electro-optical barrel twist measurement system. The "BARREL-SCAN" system allows PAC-NOR to improve twist uniformity which translates into reduced barrel vibration during bullet transition, increased accuracy potential, and reduced barrel fouling. Pac-Nor BARREL BLANKS barrels currently available (as of this printing), ex-Sydney, Australia, ready to be fitted by your gunsmith. Other calibres, profiles and specifications are available on request - allow for 7 months delivery. All prices are plus packaging and postage. Pac-Nor PRE-FIT DROP-IN BARRELS (TIKKA T3 rifle only) Pac-Nor rifle barrels made do drop in as a pre fit are now also available, to factory headspace and SAAMI chamber specs (slightly shorter throat for match grade ammunition). The best quality barrel with the best quality gunsmithing. Any modifications one might want to these barrels should be done by a reputable gunsmith. People ask, how can I change the barrel on my rifle? Or, the barrel on my rifle is worn out so I need a new one. And, there is always the story of...this rifle doesn't shoot as good as it used to - the groups are opening up. Perhaps it is time for a new barrel? With Pac-Nor pre-fit drop-ins, it is a case of just screwing off the old barrel and screw in the new. Accuracy is the want of the best match rifle shooters, so these barrels are a serious consideration for the fastidious shooter. Ready to go...and win!!! NO stock 30 cal 308 Win Med Palma 28" SS 1:12 Poly 1.15 0.8 4"
NO stock 243 cal 6XC Med Palma 28" SS 1:8 Poly 1.15 0.8 4"
NO stock 224 cal 223 Rem Med Palma 28" SS 1:8 Poly 1.15 0.8 4"
In stock 224 cal 223 Rem Light Palma 28" SS 1:8 Poly 1.15 0.7 4"
Tikka T3 Pac-Nor Pre-Fit barrels $775ea plus postage. When it comes to cut rifling barrels, Krieger Barrels Inc are globally sort after, and considered one of the best... And these Krieger barrels are now available in Australia, at the right price. There are other stockists in Australia offering these Krieger barrels, but we have barrels in stock, at great prices, and Australian shooters have a hassle free process to purchase them. Refer to the table below for what barrels we offer. Krieger barrels are considered the best, and this comes at a premium...the price. We have the commonly used target rifle profile barrels on hand. Simply replacing the factory rifle barrel with a Pac-Nor is a case of purchasing a blank, then taking to a gunsmith to have a chamber cut, and the barrel threaded and fitted to the receiver. This will give the best chance to obtain full potential from their rifle. Some AIHPA shooters have not seen any real advantages between button pulled (Pac-Nor) and Krieger (cut) barrels, but this is subjective to many factors. At the end of the day, the Krieger brand of rifle barrels is widely used to some great success. BLANK PROFILE barrels currently available (as of this printing), ex-Sydney, Australia, ready to be fitted by your gunsmith. Barrels not in stock or listed below can be specially ordered (estimated 7 months delivery). 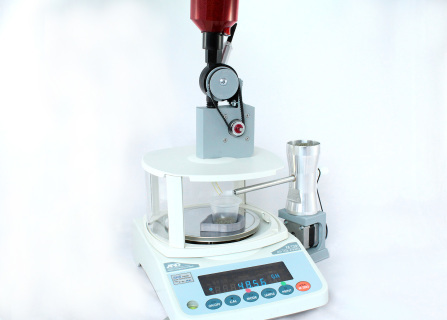 Adam MacDonald of Canada has created the best automatic scale based powder dispenser solution available in the world today. This unique powder trickling system combines the accuracy of a high quality scale/beem with the speed of a powder thrower. Receiving weight data from your scale, the AutoThrow drops a partial charge on an empty pan, and then the AutoTrickler ramps down efficiently to finish within +/- 1 kernel in seconds. No underthrow no overthrow, just get it perfect every time. Please refer to Adam's website www.autotrickler.com for ordering, latest tutorial videos, equipment specifications, etc. Pistol Pro Grip Enhancer is now available in Australia. Pro Grip is a gel that enhances the grip of the pistol in the hand of a shooter by minimising the moisture content in the hand at the weld. Used worldwide by world champion pistol shooters in many forms of pistol shooting disciplines. Available in 2oz GEL bottle only. 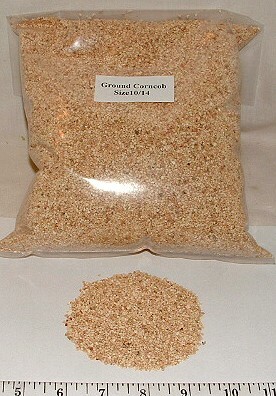 Crushed Corn Cob polishing and tumbling media. Click for more info. A$55/20lt drum ea, plus postage and handling. 10kg heavy duty paper breathable bag for A$40ea plus postage and handling.